We dealt with the important issue of motorcycle recalls in our most recent motorcycle safety post, but those are not the only type of recall that motorcycle owners need to be aware of. Recall notices can also be issued for helmets and accessories. That means your super cool helmet, your killer handle bars or some other accessory may be unsafe. Helmet and accessory recalls are serious. Helmets are subject to recalls if they fail to comply with the requirements of Federal Motor Vehicle Safety Standards. These helmets may not adequately protect a user in the event of a head impact during a crash. Recalled accessories may have parts that can fail or come loose, or present some other serious safety issue. False, missing or incomplete labeling information can also result in a helmet or accessory being recalled. So, how is someone supposed to find out if a particular helmet or accessory has been recalled? While, just like for motorcycles, there is a searchable recall database maintained by the National Highway Traffic Safety Administration Vehicle Safety at www.safercar.gov, it’s unrealistic to expect owners to be diligent in watching the database for helmet and accessory recall notices. Helmet owners and prospective purchasers can check the HelmetCheck.org website for helmet recall notice information. 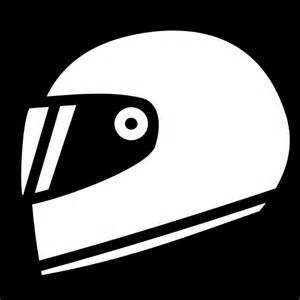 Developed by the Motorcycle Industry Council’s (MIC) Helmet Task Force, HelmetCheck.org is a voluntary website that provides information on DOT-compliant helmets from participating manufacturers and is a good source of a variety of helmet-related information, research and public service announcements. Motorcycle newsletters and magazines do provide information about helmet and accessory recalls, but coverage is limited and hit and miss. Practically, speaking, the best thing you can do is buy only top-quality products and take the time to register your personal information with the manufacturer at the time you purchase a helmet or accessory. Keep this information in a file and send in an address change update if you move. Finally, this is just one more reason that purchasing items second hand is not recommended as there is only the slightest chance that you’ll find out if the item was recalled. The motorcycle attorneys at Heintz & Becker hope that this information will serve as a reminder to motorcycle owners that product safety concerns apply to all aspects of motorcycling. A recalled helmet or accessory is just as serious an issue as a recalled motorcycle. If you are unsure about the safety of a helmet or accessory, don’t take chances – make safety your number one priority and get a quality replacement that meets federal safety standards. The experienced attorneys at Heintz & Becker want motorcycle helmet and accessory manufacturers to be held responsible for the safety of their products. If you or a member of your family has been injured by a defective product of any kind, schedule an appointment with us to discuss your case. This entry was posted in Motorcycle Accidents. Bookmark the permalink.